DNA 3 teaches you the knowledge of how to work on non-organic and organic matter and the awareness that we can step out of our own paradigm and quickly get beneficial changes to health and wellbeing using the mitochondria of the DNA; while mastering the knowing that everyone is creating their reality, and with the proper knowledge, can step out of it at will. Practitioners who have taken this class have really appreciated the immediate and very noticeable improvements in their intuitive abilities. Life can take on a new ease as you practice these unique teachings for yourself and your clients, and you will discover the true potential of your wonderful mind. This class offers an impressive expansion of our ThetaHealing skills and is highly recommended for Practitioners that wish to live in a continual 7th Plane knowingness and connection to the Creator of All That Is. This seminar is filled with many exercises to learn about how to help shift our world around us. Learn how to create your own reality while releasing the blocks that are holding you back from creating that reality. 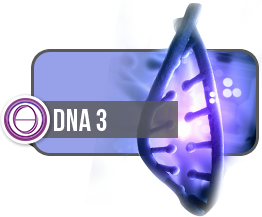 Tuition includes the ThetaHealing DNA 3 Practitioners Manual and a certificate upon completion.